A lovely example of a beach worn pebble which contains a beautifully preserved solid calcite ammonite in green transluscent calcite. 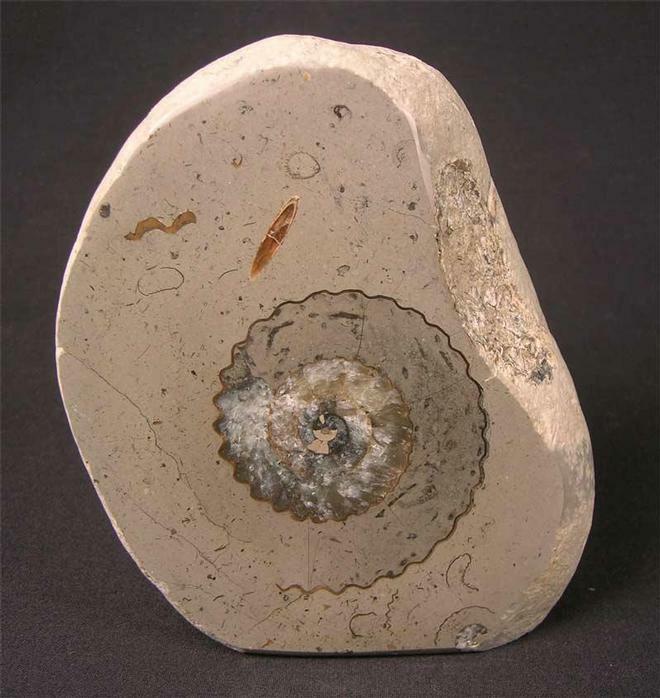 The ammonite has been ground gem smooth and a high polish applied to reveal an immaculate centre and stunning flecks. Approximately 195 million years old. This Limestone nodule has been sliced in half to reveal a solid calcite ammonite which is totally complete with an immaculate centre. The matrix has a cut base for upright display. 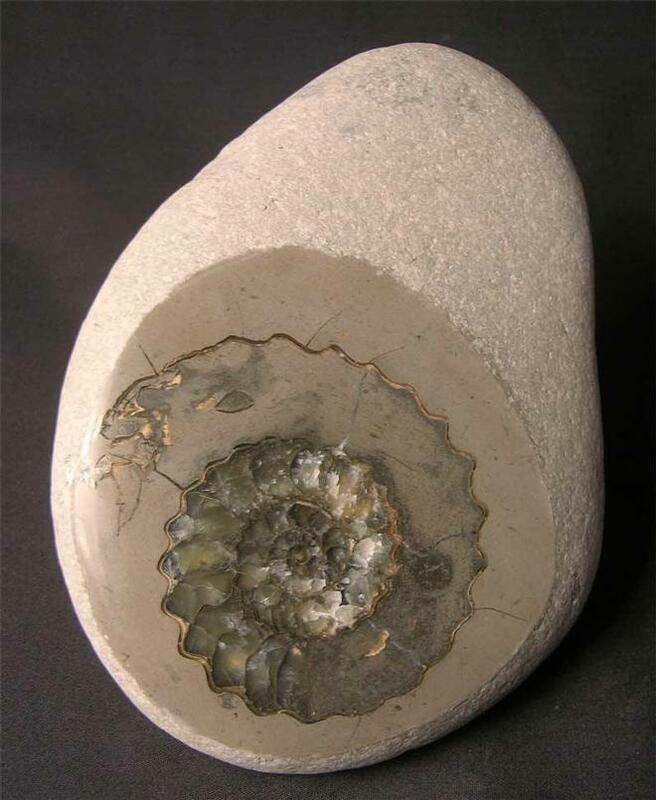 A beautiful piece which is approximately 190 million years old.